Printsome: Custom T-shirt printing UK - Get a quote! As you may have already guessed, the custom clothing printing industry is a highly competitive one. We know there are other options so we appreciate every second spent checking us out. Now we have to make it worth the while. Printsome was founded in 2013 with the idea to make printing on T-shirts easier and better. With cutting-edge technology and an agency model, we set out to modernise an old industry. What sets us apart is that we bring the experience of the B2B world with the personalised attention of the B2C world. From the moment someone gets in touch, one of our Printing Experts will guide them through each step of the way and make sure that the end result meets their expectations. From the very beginning, we’ve worked with companies from all kinds of industries. From music to furniture and entertainment, we’ve done it all.The BBC, IKEA, Shazam and Facebook are just some of the brands that have placed their trust in us. We help event planners please their customers with souvenirs, brand managers achieve their goals with branded garments, and YouTubers monetise their channels with custom merchandise. Every customer will have a designated account manager who will create a custom plan for each case regardless of how complex or tight the deadline might be. We offer different delivery services (standard and express) which can adapt to most timeframes. Branded T-shirts are an effective marketing tool and here at Printsome, we love to show their power. Here at Printsome, we offer the best T-shirt printing services and garments personalisation. When it comes to printing, we offer both screen and digital. The first is great for bulk orders due to its speed while the second allows recreating vibrant and intricate designs. We also offer embroidery which is perfect for work and sports uniforms. Our industrial machines allow us to embroider several items at the same time at great speeds. If you can’t find what you’re looking for then we can create it thanks to our Cut and Sew manufacturing services. Also, if what you wish is start a brand new T-shirt online shop , then you may also do so with our Print On Demand branch. Our catalogue has been sorted with hundreds of hand-picked garments to ensure the best possible results and compatibility with our printing techniques. You may find T-shirts, hoodies, vests, sportswear, workwear and other miscellaneous items such as aprons and tote bags. We work with many different brands to satisfy every possible need. American Apparel, B&C, Bella Canvas, Fruit of The Loom and Gildan are just some of the names we offer. From high-quality to accessible prices and even sustainably made, anyone can find everything they need here. Our T-shirt printing services have been optimised for bulk printing so our products are always in stock. Also, if someone doesn’t find what they’re looking for, one of our printing experts will advise on the best possible solution. Behind the scenes of our super fast screen printing services. Get in touch & let's print! Printsome is a custom T-shirt printing UK agency that offers T-shirt printing services all over the UK. Based in London, we’re a fresh and vibrant clothing printing UK company, who is here to make things easy for you, our precious customer. Need personalised t-shirts UK? We know that we’re not reinventing the wheel in terms of type of business here, but from the very beginning we knew we could do the overall service of custom T-shirt printing UK better. Starting with our fast T-shirt printing service, which makes the difference, we can say we’re not a simple, and one among the T-shirt printing companies out there. This online T-shirt printing company pride itself in the excellent personal service. At Printsome, personalisation not only evolves around the service, but everything evolves around the client. 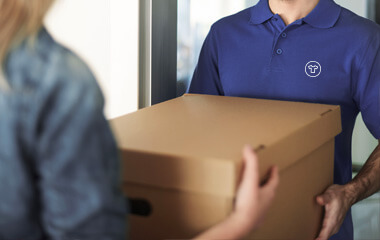 From the first moment you contact us until your custom T-shirts UK are delivered, our printing advisers make sure you are fully informed throughout every step of the process. We make ourselves available. You can contact us via email, live chat, phone, or our contact form for your clothing printing UK needs. We are a custom clothing printing company that specializes in bulk T-shirt printing, which means that we have a minimum requirement of 15 personalised T-shirts UK per order. If you are running an event, or you own a company and need embroidered workwear for your staff, then we would love to help you out. Ordering custom clothes UK hasn’t been easier. Our business goes beyond personalised T-shirts We worked hard on picking up a wide range of different garments that will fit your needs and are just ready to be printed. top-notch and the inks used are also up to our standards. In our vast catalogue of garments just waiting to be customised by you, we have leading brands such as Gildan, Fruit of the Loom, B & C, Bella Canvas and many more. Our aim is to always exceed expectations by providing the best user experience to all of our customers that are looking for clothing printing UK. Remember, it doesn’t matter how big or small an order is: We specialise in wholesale printing and embroidery. Choose from our extensive range of T-shirts, hoodies, polos, sweats and much more and let us take care of your t-shirt printing UK needs. 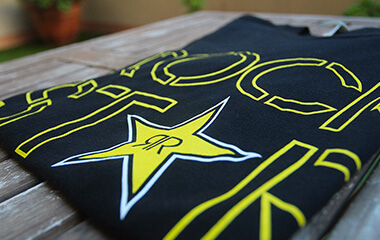 We try to demystify the custom T-shirt printing UK process. In an effort to clarify the process, we make resources available like our expert tips and articles on the different techniques. We offer some of the fastest turnarounds in the market. Our regular delivery is from 5 to 10 days, while our express service is 2 to 4 days. It doesn’t matter if you’re in London, Manchester, Glasgow, Edinburgh or Bristol, because we are a T-Shirt printing UK agency that offers services all across the UK. Whether you’re a business professional looking for promotional garments or an event agency in search of best value personalised T-shirts UK, or anything in between, we make customised clothing simple. Our aim is to always exceed expectations by providing the best user experience to all of our customers. It doesn’t matter how big an order is, we can help you. T-shirt printing in the UK is now pain free, with Printsome, the clothing printing UK agency that offers printing services all over the UK.